FILE – In this Aug. 2, 2017, file photo, Ohio Attorney General and former U.S. Sen. Mike DeWine discusses the opioid epidemic while speaking at the Columbus Police Academy in Columbus, Ohio. 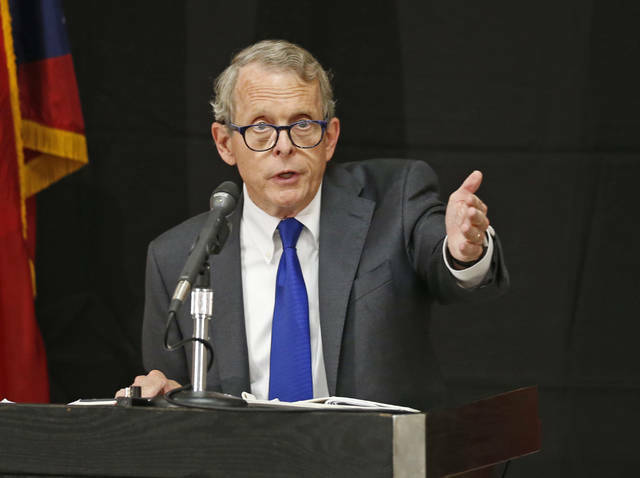 Emails released by DeWine’s office show Ohio Bureau of Criminal Investigation agents and supervisors raised concerns about expired body armor for more than a year before a union grievance was filed May 3. COLUMBUS (AP) — Ohio Bureau of Criminal Investigation agents and supervisors raised repeated concerns about expired body armor for more than a year before a union grievance was filed this May, public records show.